For information about the Kids Unite Spring Break Camp, please click on the headline. 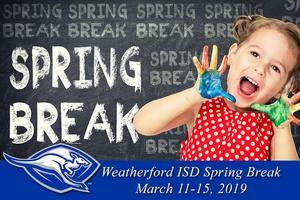 Weatherford ISD schools will be closed for Spring Break March 11-15, 2019, but we've got the perfect backup plan for families needing childcare. 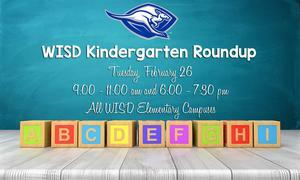 Weatherford ISD's Community Education department is offering a Spring Break Camp at Austin Elementary for students in Kindergarten through 6th grade from 7:00 am - 6:30 pm. 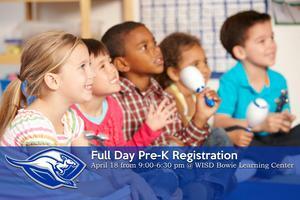 The cost is $145.00 per child and includes lunch, snacks, and a field trip to Holland Lake Park on Thursday, March 14. The deadline to register for Spring Break Camp is Monday, March 4, 2019. For more information, please visit https://www.weatherfordisd.com/apps/pages/index.jsp?uREC_ID=233323&type=d&pREC_ID=542565 . 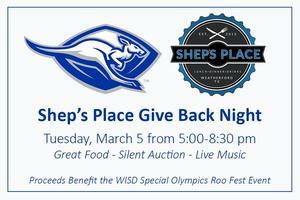 Shep's Place is hosting a Give Back Night to benefit Weatherford ISD Special Olympics Roo Fest event on Tuesday, March 5th. 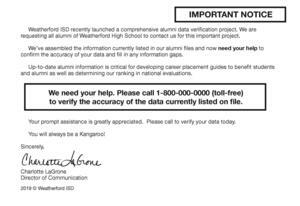 Each year Weatherford ISD hosts a Special Olympics event called Roo Fest and invites students from surrounding school districts to participate in this event. For more information on WISD's Special Olympics Roo Fest, please contact our Special Programs department at 817-598-2844. Please click on the headline for an important safety message regarding The Momo Challenge.